(Left to right) Professor Flemming Besenbacher, the Chairman of the Carlsberg Foundation and the Supervisory Board of Carlsberg A/S, Dato’ Lim Say Chong, Chairman of the J.C. Jacobsen Foundation and Carlsberg Malaysia, Christopher Warmoth, Carlsberg Group Senior Vice President of Asia and Henrik Juel Andersen, Managing Director of Carlsberg Malaysia displaying the J.C. Jacobsen Foundation logo at the Foundation’s launch. 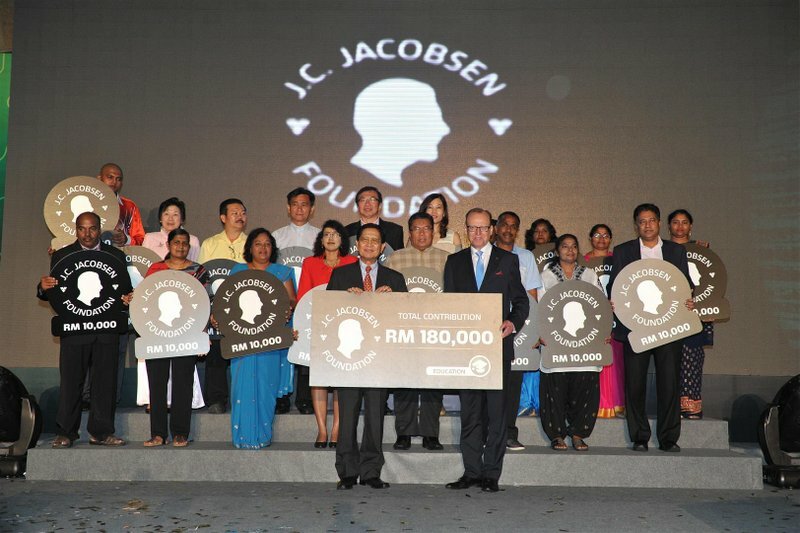 SHAH ALAM, June 16, 2014 – Carlsberg Malaysia begins a new chapter in philanthropy with the launch of the J.C. Jacobsen Foundation (“Foundation”) in Malaysia, also Carlsberg Group’s first foundation of its kind to be established in Asia. Set up and managed independently from the brewery in Malaysia, the J.C. Jacobsen Foundation will champion local philanthropic efforts by raising funds that can further contribute to the betterment of Malaysian society through just and sustainable solutions. All funds generated by the Foundation’s activities will be channelled to support three pillars, namely education, sports and environment. The launch event raised funds amounting to more than RM400,000, of which RM300,000 was channelled towards 18 schools and homes under the Foundation’s education pillar, and to the Olympic Council of Malaysia, Paralympic Council of Malaysia and Malaysia Federation of Wushu, Negeri Sembilan as part of its sports pillar. Beneficiaries under the environmental pillar on the night included Do Something Good, Hati Malaysia and Community Recycle for Charity (CRC). 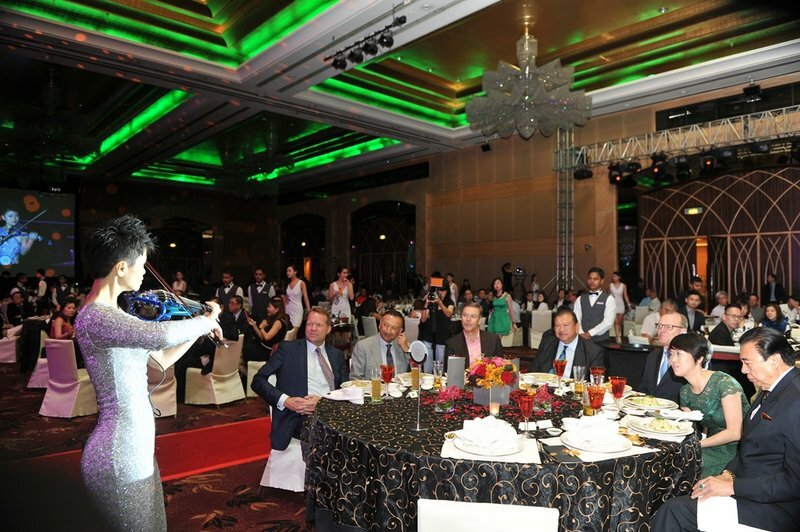 More than 800 customers, business associates, friends, beneficiaries and media attended the event, which was graced by guest of honour His Excellency Mr. Nicolai Ruge, Danish Ambassador to Malaysia. He was joined by Professor Flemming Besenbacher, the Chairman of the Carlsberg Foundation and the Supervisory Board of Carlsberg A/S who flew in from Denmark to officially launch the new Foundation alongside Carlsberg Group Senior Vice President of Asia, Christopher Warmoth. The launch of the J.C. Jacobsen Foundation generated and channeled RM180,000 in funds towards its education pillar and benefited 18 schools and homes. The evening also saw the introduction of the Foundation’s Board of Trustees. Chaired by Dato’ Lim Say Chong, also Chairman of Carlsberg Malaysia. The Foundation’s other trustees comprise Tunku Tan Sri Imran ibni al-Marhum Tuanku Ja’afar al-Haj, Dato’ N. Sadasivan, Dato’ Larry Gan Nyap Liou and Henrik Juel Andersen, Managing Director of Carlsberg Malaysia. Speaking at the launch, Foundation Chairman Dato’ Lim said: “This is a milestone moment for us in Malaysia as we carry on the vision of Carlsberg’s founder by enhancing the quality of life of Malaysians. We like to think of the Foundation’s work as an investment in the shared future of our nation”. 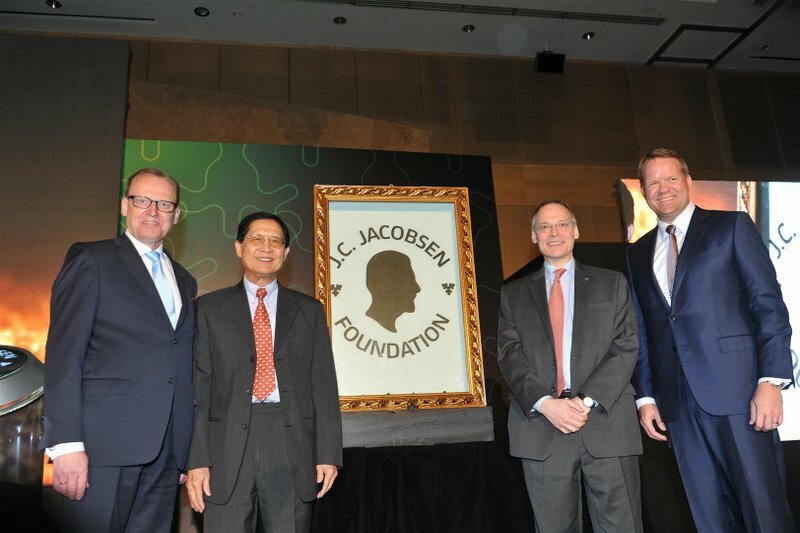 “As it will be managed independently from the business operations of Carlsberg Malaysia, the J.C. Jacobsen Foundation will enable us to expand our reach and we look forward to raising the bar and making a greater contribution to a larger segment of society in Malaysia moving forward,” he shared. “The Foundation’s mission is to collaborate with both existing and new charitable organisations as we believe that partnerships and working together will make an even greater difference. We hope the Foundation’s tagline, ‘Let’s brew a better, greener future’ will inspire us to go beyond and help shape the community and the environment,” he elaborated. The launch of the J.C. Jacobsen Foundation generated RM75,000 in funds under its sports pillar, benefiting athletes from the Olympic Counsel of Malaysia, Paralympic Counsel of Malaysia and Chin Woo Athlete Association. Guests at the launch of the J.C. Jacobsen Foundation were entertained by the musical stylings of renowned local violinist Dr. Joanne Yeoh. Guests were entertained by the musical stylings of renowned local violinist Dr. Joanne Yeoh and marvelled at the swift work of speed artist Vinn Pang, who painted the portrait of founder J.C. Jacobsen which was later transformed into the new Foundation’s logo in mere minutes. The choir club comprising 30 students from SJK (C) Sentul, Kuala Lumpur mesmerized the audience by delivering an impressive vocal performance. 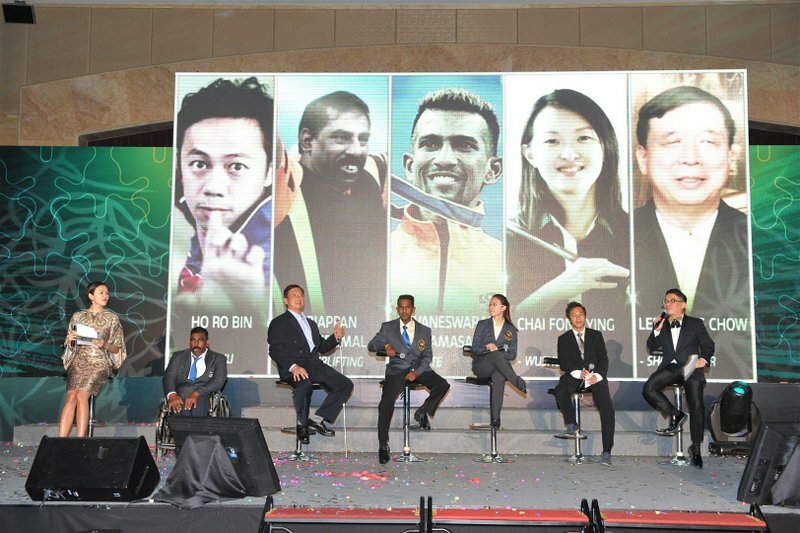 Three OCM athletesHo Ro Bin, Chai Fong Yeng and R. Purvaneswaran and two former Paralympians Lee Sheng Chow and Mariappan a/l Perumal, present to receive cash sponsorships under sports pillar, also spoke of the far-reaching impact which foundations have had on their careers in the past. 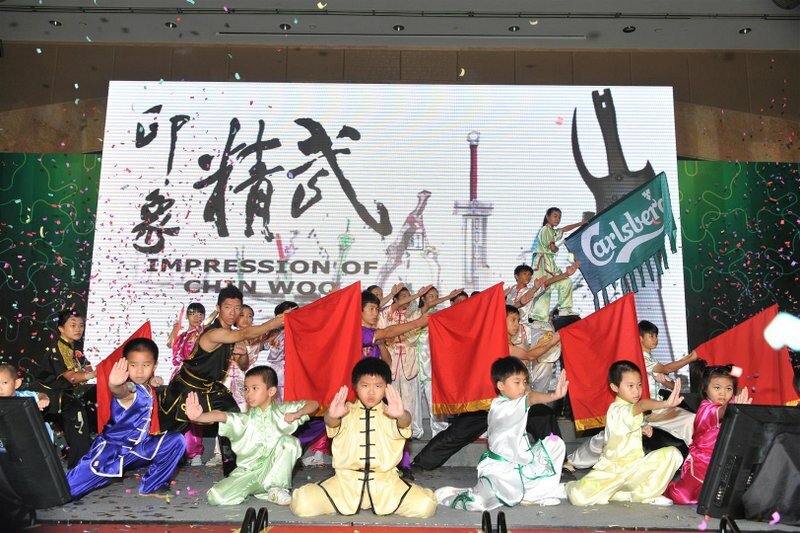 A stomp performance with recycled Carlsberg packaging materials provided a fitting finale to the entertainment, while, at the same time, reflecting the goals of the Foundation’s environment pillar. 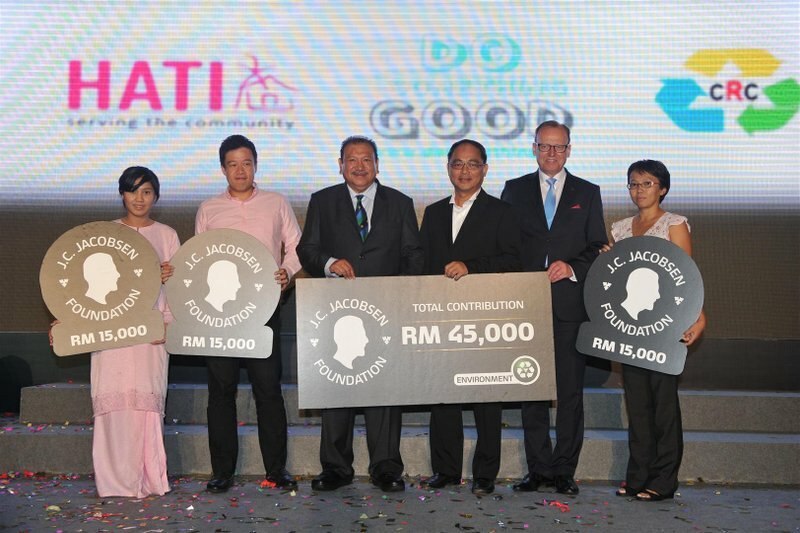 The launch of the J.C. Jacobsen Foundation generated RM45,000 in funds for its environmental pillar, benefiting partner programmes Do Something Good, HATI Malaysia and CRC Recycling Charity. This entry was posted in News and tagged altruistism, Carlsberg, charity, corporate social responsibility, csr, philanthropy by TheGoodGoodGuy. Bookmark the permalink.